Coffee and Talk - "Books for Bazhong"
Do dusty old books still have their place? How to encourage reading? 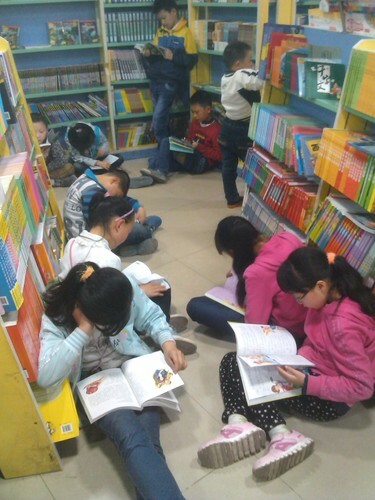 How to promote English literacy? What does a library in another part of the world look like? How does a retired Kiwi English teacher from Palmerston North make a difference in the lives of many children in a place called Bazhong in China? The Friends of the Library and the New Zealand China Friendship Society Manawatu Branch cordially invite you to a Coffee and Talk, where Rosy Look, the Guest Speaker, can give you the answers. Rosy's talk may also shed some light on the education system, the people, the culture and the beauty of an unfamiliar place. Admission is free. Thursday 27th August, 10.30-11.30am in the Oroua Room, Ground Floor, Central Library. Restaurants to book near Coffee and Talk - "Books for Bazhong"